The Charcoal Kilns of Death Valley are located on the West side of the park in an area that is only accessible via a four mile dirt road that is often only be passable via a vehicle with high clearance. These kilns are also in an area so remote and away from the normal attractions that they are one of the better preserved and unique attractions in the park. 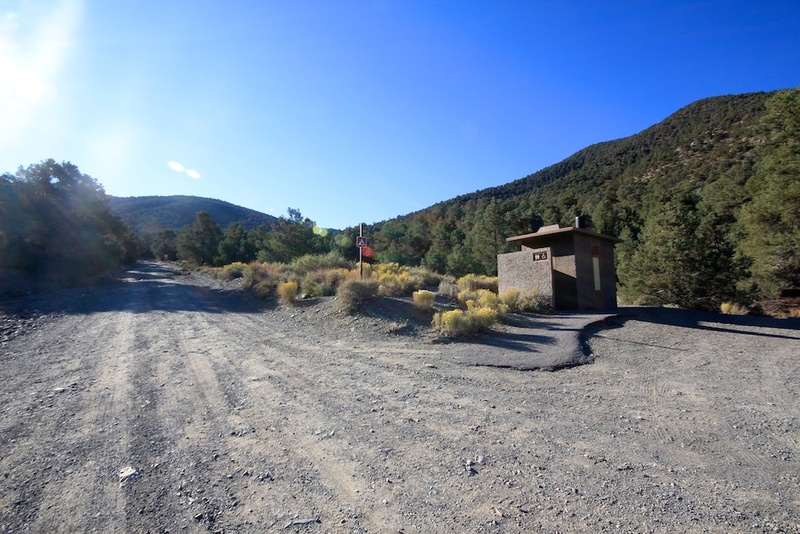 The only Death Valley highlight close to them is the trailhead to Telescope Peak which towers 11,050 feet above Badwater and the Death Valley. 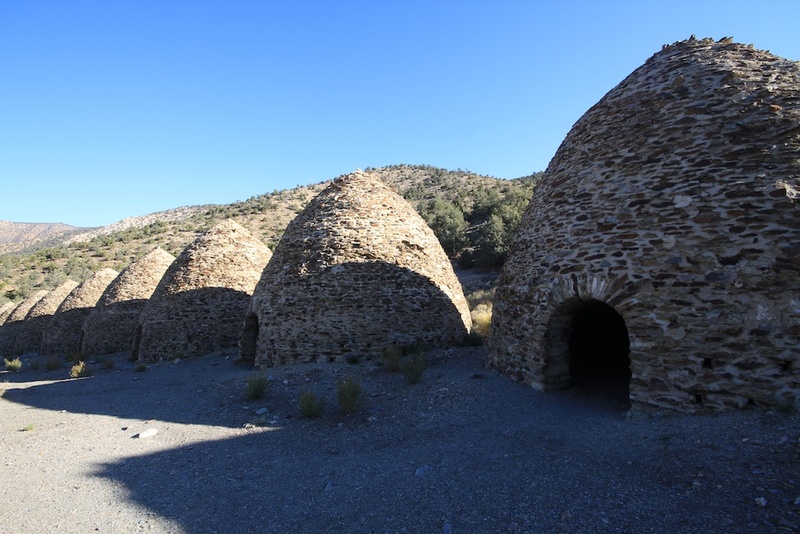 I made the trip out to hike Telescope and literally stumbled on the gems that are the Charcoal Kilns. 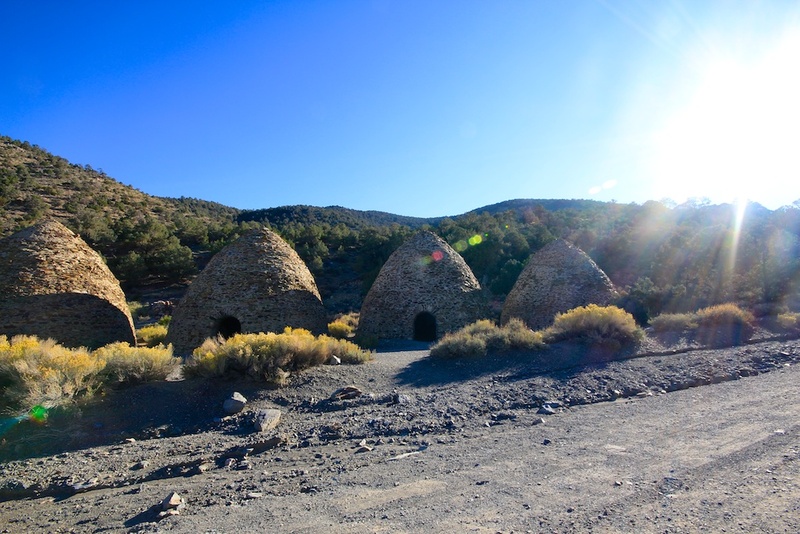 The Wildrose Charcoal Kilns were completed in 1877 by the Modock Consolidated Mining Company to provide a source of fuel suitable for use in two smelters adjacent to their group of lead-silver mines in the Argus Range west of Panamint Valley, about 25 miles distant from the kilns. Although the mines themselves were worked intermittently until about 1900, there is no clear evidence that the charcoal kilns were operational after 1879. Evidently either other fuel sources were located or it was found to be more profitable to ship the raw ore elsewhere for processing. This short life may help to explain the remarkably good condition of these kilns, more than 100 years after their construction. 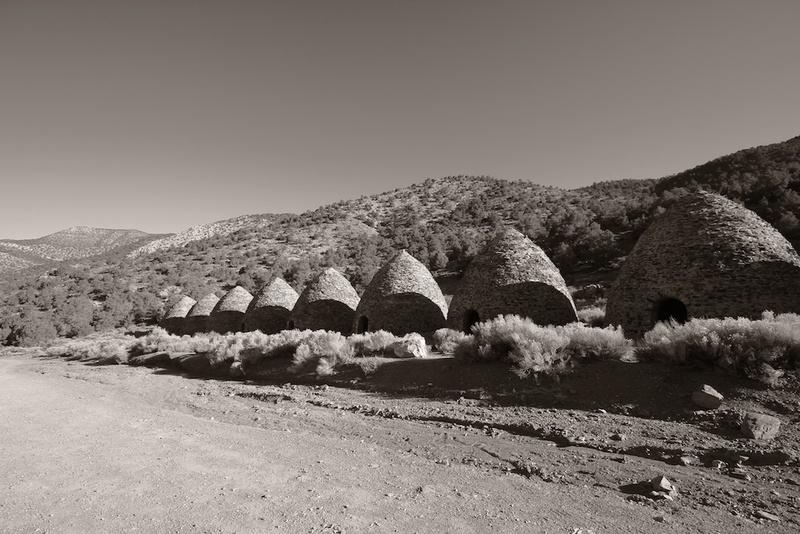 As you turn a corner on the dirt road you are greeted with your first sight of the kilns. 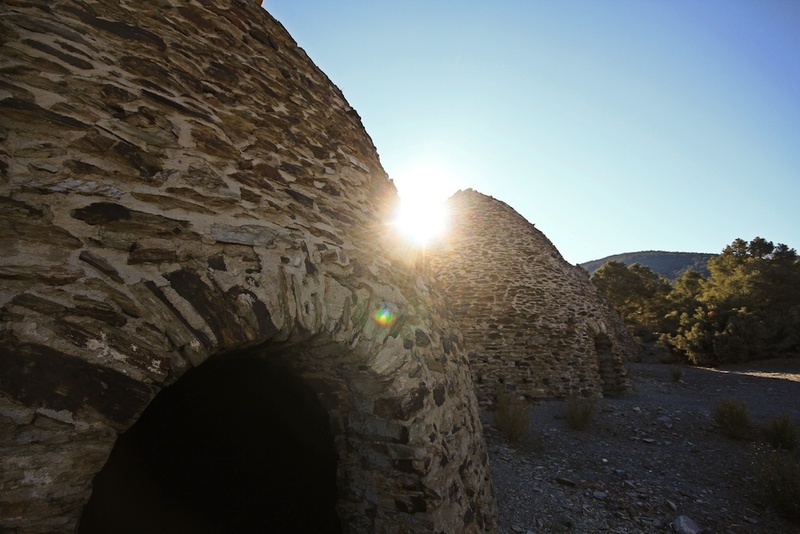 Standing at around 25 feet high, the ten kilns are a interesting slice of history and Death Valley lore. They have been remarkably well preserved and I think that is mainly due to how hard they are to get to. 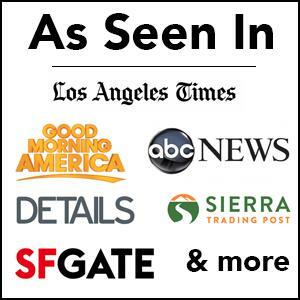 You really have to want to see them to find your way here. The small parking lot can hold about ten cars and features a pit toilet. When we were there only one other person was enjoying the kilns with us. The kilns all have open doors that allows you to enter them and explore, but there really isn’t much inside. 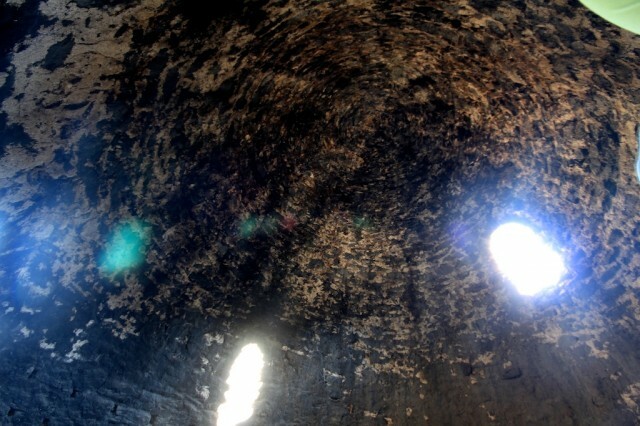 I did find it interesting how strong the smell of smoke was that had coated the inside of the kilns, even though they hadn’t been used in over a century. The kilns were much bigger then I imagined them to be and I bet they were a sight to see when they were in use a century ago. Like everything in Death Vally, it is amazing to think that early Americans inhabited these barren lands and were actually able to make a life in the immense heat. These kilns are a remarkably preserved picture of that life. After exploring and reading the information on the kilns we got back in our Jeep for the long ride home. If you are an outdoorsman I would highly suggest the trip to Telescope Peak as it was a beautiful hike that I will write about in another post. 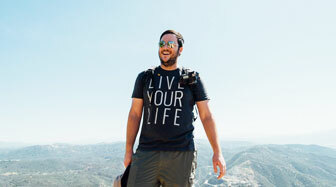 If you heading out that way though the Charcoal Kilns are a great and easy stop on the trip. Because of how hard they are to get to though I wouldn’t recommend taking the whole day out just to see them when Death Valley has some many closer attractions to offer the visitor. Get directions below and make sure to leave a comment.